In der Nähe des historischen Zentrums, 2 Zimmer, Küche, Bad, Wohnzimmer, Balkon. Nur 700 m vom historischen Zentrum von Malcesine, in einer sehr ruhigen und bequem zu erreichen. mit 2 Schlafzimmer, 1 Badezimmer, Wohnzimmer und Küche. Reservierte Parkplätze. Nur 700 m vom historischen Zentrum von Malcesine, in einer sehr ruhigen und verkehrsgünstige Lage zu erreichen. Mit 2 Schlafzimmer, 1 Badezimmer, Wohnzimmer und Küche. Privater Parkplatz. Apartment was exactly as described with amazing view of lake. The host Cinzia provided excellent communication and would be more than happy to stay here again. Steven and Lisa are very nice and very willing to communicate. They only stayed 2 days, I hope they will return in the future. Thank you for choosing my apartment! Our host Cinzia was nice and helpful. The apartment is modern, comfortable and clean. Highly recommended. Great views of the lake. Very clean apartment with everything needed. Great host, very helpful. We had a great stay. The apartment is only a short walk from town. It is in a great elevated location with magic views across the lake. There is a fantastic pool available. The apartment is very bright and clean and has a balcony to sit out on and enjoy the view. Cinzia the host was lovely and picked us up on check out to take us to the ferry. She also leant us a pram and a shopping cart to help when going to the market. 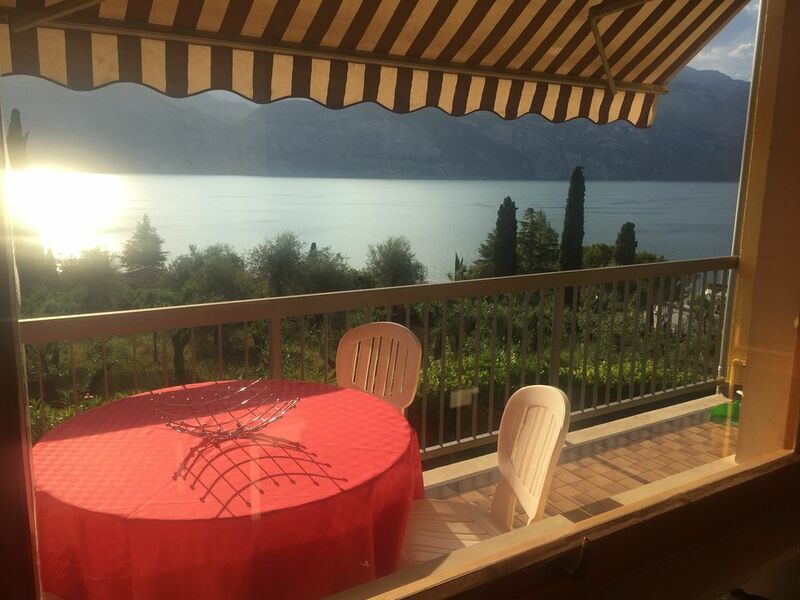 A great apartment to relax in away from the busy laneways of Malcesine. you are a beautiful family !